If your favorite pair of jeans won't fit, the scale seems stuck, or your weight drops off only to bounce back up, there's a chance you could be making one of these 10 weight loss mistakes. Determined to lose 10 pounds fast, you turn to a crash diet. Perhaps your plan calls for nothing but grapefruit or cabbage soup each day. You slash your daily calories to fewer than 1,000, and sure enough, the pounds melt away. But when you eat so few calories, you train your metabolism to slow down. Once the diet is over, you have a body that burns calories more slowly, and you usually regain the weight. 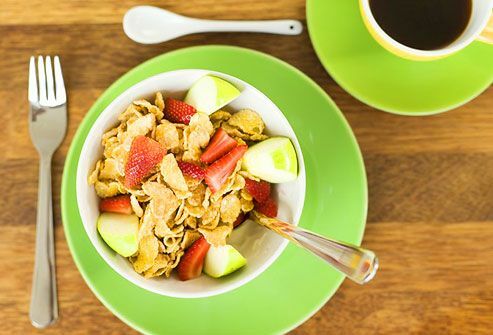 Skipping breakfast seems like a simple way to cut calories, but it can make you hungry the rest of the day. 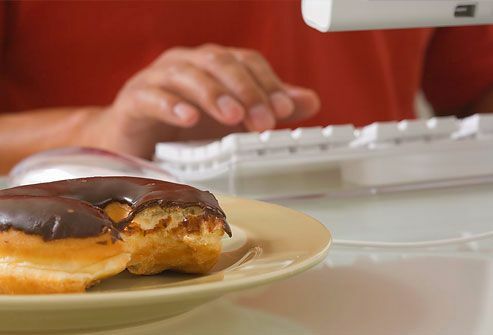 This may lead to unplanned snacking at work and eating a supersized portion at lunch, making calorie counts soar. 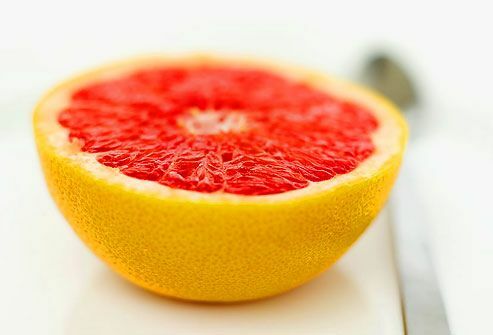 But breakfasts that are high in protein and fiber can curb hunger throughout the day. In fact, studies show people who eat breakfast every morning are more likely to maintain a healthy weight. Maybe you count calories at every meal, but what about all those nibbles in between? There's the bag of pretzels at your desk, the little slice of cake at a party, the taste of your son's ice cream cone. All of this mindless munching adds up and could sabotage an otherwise well-planned diet. If you're serious about counting calories, you may want to use your smartphone or a notebook to keep track of each bite. While mindless snacking can pad your waistline, thoughtful snacking may do just the opposite. People who eat several small meals and snacks a day are more likely to control hunger and lose weight. Snacking helps keep your metabolism in high gear, especially if the snacks are protein-rich. 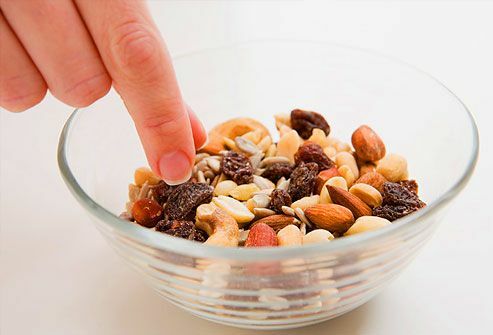 Having a few nuts is a good, high-protein choice, and research suggests people who snack on nuts tend to be slimmer than those who don't. Low-fat products can play an important role in your diet. Just remember that low-fat isn't the same as low-calorie, and it's not a license to take second and third helpings. 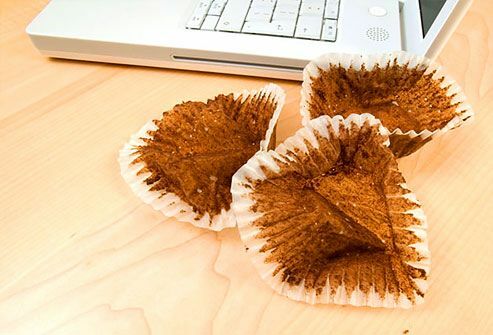 If you pile your plate with low-fat cake, you may end up eating more calories than if you had a smaller slice of regular cake. The best way to know how much fat, sugar, and calories you're getting is to check the nutritional label. 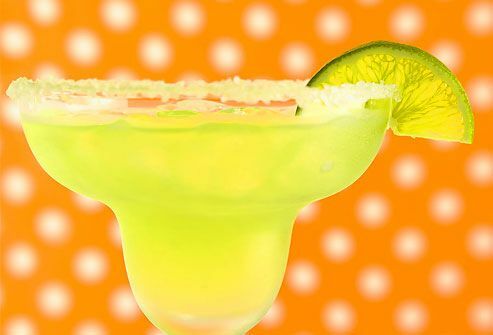 When counting calories, many of us tend to overlook what's in our drinks. This is a big mistake when you consider that some fancy coffees and alcoholic beverages have more than 500 calories. Even the calories in fruit juice and soda can add up quickly. This is one of the simplest diet mistakes to fix. Water is essential for burning calories. 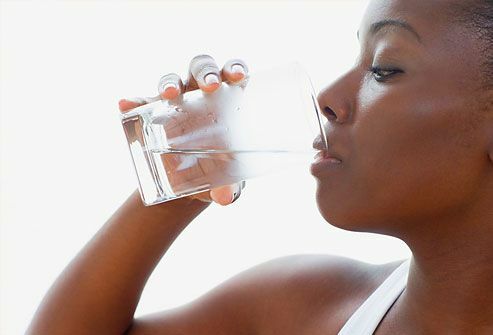 If you let yourself get dehydrated, your metabolism drags, and that means slower weight loss. So try adding a glass of water to every meal and snack. Full-fat milk, cheese, and ice cream are taboo for many dieters, but ditching dairy foods may be counterproductive. 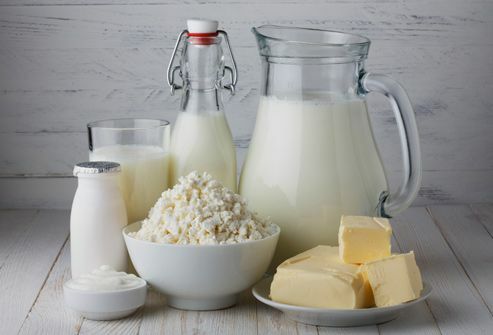 Some research suggests the body burns more fat when it gets enough calcium and produces more fat when it's calcium-deprived. Calcium supplements do not appear to yield the same benefits, so dairy may have other things going for it, too. Stick to nonfat or low-fat dairy options. 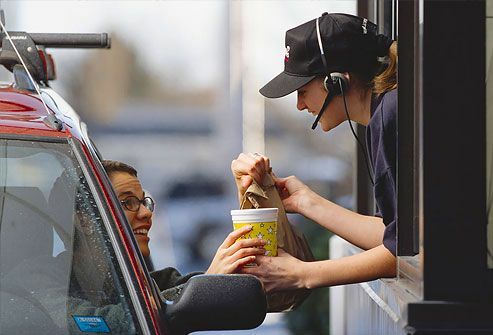 The drive-thru is convenient after a hectic day, and you can always order the salad or other healthier option. But once you're there, can you resist that milkshake or other treat? And if you allow yourself the ease of fast food once, it could become a habit. According to one long-term study, people who ate fast food more than twice a week gained 10 more pounds than those who had it less than once a week. Telling yourself you'll lose 20 pounds your first week is probably setting yourself up for failure. If you know you won't be able to do it, you may never start your diet in the first place. If you diet and lose 5 pounds in a week, instead of celebrating, you may feel discouraged that you didn't reach your goal. A realistic goal is vital to successful dieting. If you're not sure what your goal should be, talk to a dietitian. Boschmann, M. The Journal of Clinical Endocrinology & Metabolism, December 2003. Columbia University, Go Ask Alice: "Do drinking and weight loss mix?" Jefferson University Hospital Blog: "When Should You Weigh Yourself?" Lara Hassan, MS, RD, nutritionist, Cooper Clinic, Dallas. Michael Zemel, PhD, director, The Nutrition Institute, University of Tennessee at Knoxville. NHS.uk: "Why is gradual weight loss better than a crash diet?" Pereira, M. The Lancet, January 2005. Rolls, B. The Volumetrics Weight-Control Plan: Feel Full on Fewer Calories, HarperTorch, 2000.